I’m starting to make dinner for the family about one night a week or more if I can. Three of my more recent dinners were a caramel chicken recipe I found online and adapted, a “spiced-batter fish” one and a marinara mix stir fry. Heat oil in a wok or frying pan and cook chicken, in batches, stirring, until golden. Transfer to a bowl/plate to wait. NB. Start cooking with the pan with the heat set to ‘high’, then turn down to medium or medium-high as needed, once the pan’s hot. This is particularly useful if your stove takes a while to warm up; it also allows for quicker cooking. Add onion. Cook, stirring, for 5 minutes or until softened. Add garlic. Cook for 1 minute or until fragrant. Add vegies and begin cooking them. In a separate pot, add rice to water with a bit of salt. The ratio is usually 2 cups water to 1 cup rice I think. Cook. It should take about 15 minutes. NB. This can be done in the microwave, but you’ll need to stop it half-way and stir it. NB. If you don’t want gluggy rice, then you’ll need to stir it on the stove and keep an eye on it as you’re doing the rest of the meal. It’s great if there’s someone else to help! When vegies are mostly cooked, return chicken to pan. Add soy sauce. Cook, covered, for 5 minutes, or until chicken is cooked through. Add sugar. Cook, stirring, for 1 to 2 minutes or until mixture is bubbling. Add fish sauce and juice. Cook, stirring, for 1 minute or until sauce thickens. Wait for the rice to finish, plate up and serve! More or less vegies alter the effects of the sauce on the chicken, I think. In the bottom of two containers, mix a good amount of flour with salt, pepper and spices. Add water to the mix of one of the containers. NB. Remember to think about the ratio of flour to spices (you want it to be “just right”, not too spicy or too ‘weak’). Dip and cover the fish into the ‘dry’ mix then into the ‘wet’ one. The fish are battered – now it’s time to cook. Use a deep pan to fry the fish as that will hold more pieces. Depending on whether you want to deep-fry or shallow-fry it, use more or less oil. Serve with salad and rice/potatoes. Cut up vegies. I used carrot, pumpkin, zucchini, purple cabbage, cauliflower and bok choy. They were cut up into sticks or thinly sliced some other way. Put oil into wok – enough to thinly coat the bottom. Add onion and cook until soft and translucent. While it’s cooking, add a teaspoon each of garlic, ginger and chili. Add sauces; a tablespoon/teaspoon of each, to taste. Add marinara mix and cook until done. Remember to coat everything with the flavours by mixing through from bottom to top with a large kitchen spoon. Last week, Harper Lee died. The news of her passing made me think and remember. It was in Year 10 that I was first introduced to her work – To Kill A Mockingbird. It was one of the year level texts at my school. I remember reading it, the summer before school started for the year, as I usually did with class texts. I just finished reading ‘To Kill A Mockingbird’. I can’t really describe what it’s about – there are lots of meanings and I wouldn’t be able to explain them properly here. All I can say is it really is a classic. I cried at the end of the book, it was so touching. As you can see, I was still processing the book’s contents when I wrote that, unable to properly articulate my feelings about it. All I knew was that it had touched me, deeply, in that indescribable way that books can. I knew that it was a book that would stay with me. To Kill A Mockingbird‘s message did stay with me. It stuck, well and truly, like that other quote from it: “You never really understand a person until you consider things from his point of view […] until you climb into his skin and walk around in it.” and “Before before I can live with other folks I’ve got to live with myself. The one thing that doesn’t abide by majority rule is a person’s conscience.” and a hundred other gems, little darts of wisdom going straight for the heart. The characters, too….I remember how we discussed, in class, the roles of Atticus and Calpurnia (a surrogate mother for Jem and Scout, despite or perhaps because of her role as a maid) and other characters. We also discussed Tom Robinson and Boo Radley, racism and ignorance. It occurred to me when I was writing this that, though my diary entries don’t show it, I have a clear memory of comparing the mockingbirds of the story with present-day mockingbirds. They are asylum seekers and Indigenous Australians and African-Americans and Muslims and other groups historically and currently disadvantaged because others fear and hate them. When I read the book in Year 10, I was beginning to think critically and politically about issues. Perhaps that’s why the book’s truths about injustice and people and power stuck with me and continue to do so. The problems outlined in the book haven’t gone away and the truths haven’t turned false. Of course, we now have Go Set A Watchman adding meaning and detail. I confess, I haven’t read it yet (though I’ve heard about its contents) – a combination of wanting to wait out the hype, uneasiness over its discovery and just plain forgetting to borrow it out. I’ll have to get on to that, I suppose. Like Ms Schingler, I, too, say: Goodbye, Boo (Harper Lee) – and thank you. I’m supposedly an ENFJ/ENFP…the difference between the J and P ‘scores’ wasn’t enough to distinguish one or the other, so I’m both. 😛 Make of that what you will…I suspect each of us has at least one characteristic like that. The first thing I’d say about personality tests (esepecially online ones) is to always take them with a little grain of salt (at least) and remember that personality is changeable. We can have set basic tendencies, but life experiences and whatnot shape actual personality. As well as how good one feels about themselves on the day of taking the test. Anyway…they’re good for a general overview of potential strengths/ weaknesses. Looking at another blogger’s ideas for ENFP and ENFJ authors is quite amusing, as I can see myself in the descriptions. Also, the tests are good for character development. It’s interesting to think about. Once I finish doing their ‘F Words’ (which is throwing up backstory surprises of its own), I’m taking the test ‘as’ them. (I’ve got the big list out and everything.) This puts things into perspective. As a total Potter nerd, I also found this blog post, if you’re so inclined, matching Hogwarts House qualities with Myers-Briggs ones. 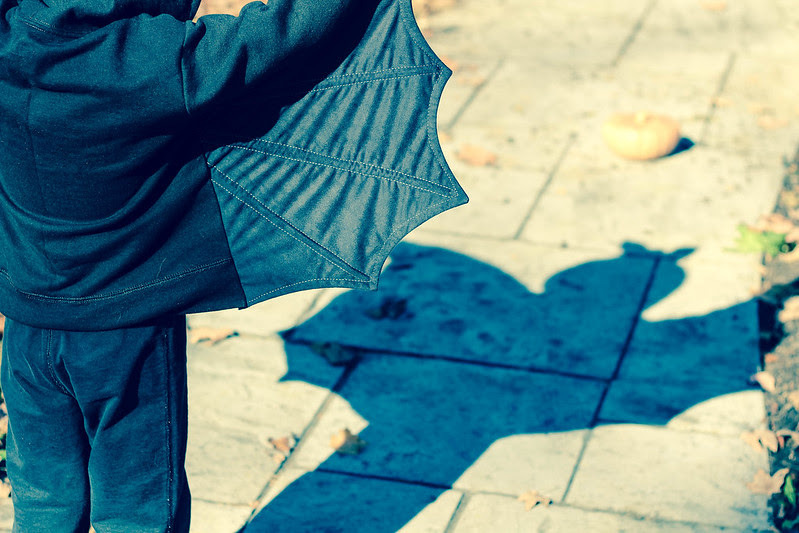 The blogger makes some good assessments, including a breakdown of primary and secondary traits (leading to Houses) which may also prove useful for analysing your characters. I’ve been slacking a bit on the writing tips because I’ve been reading a lot of the same things lately. A lot of rehashed content or stuff I’ve already posted about. And I’ve been working on other Internet-y things. But after finally getting around to reading some of the posts I’d saved in my Inbox, [tag]Jami Gold[/tag]’s answer to the question Does Our Personality Affect Our Writing Process? intrigued me enough to finally post this month. Have you ever taken the Myers-Briggs personality test? I remember doing so at the last long-term job I had. The 7 people in our department took it and the third party consultant who administered it came in and explained everything. It was truly enlightening and it made sense why my manager and I got along so well. We were very similar. According to Jami, this test can provide a better understanding of how our personality traits might help us develop a writing process that works for us. One suggestion of Jami’s that I may take into consideration at some point, if I feel the need to delve deeper into my characters, is to take this test from a character’s POV to create a story arc. Read more by clicking on the title of the piece above. I have hyperopia or long-sightedness. Also, when I was very young – maybe three or so – I had an operation and other treatment to correct a ‘lazy eye’ or “strabismus” (I learnt a new technical word for this post! Cool!). That means eye muscles in one eye had to be tightened a bit for me to focus properly because it was letting the other eye do all the work. That determined which eye was the dominant eye and from that point on (I think), I’ve worn glasses. Due to the degree of hyperopia in different eyes, one glasses lens is slightly thicker than the other. When I was in primary school in particular, if I tried to read or do anything close-up without my glasses on I’d get read bad headaches. Now, thanks perhaps to me working with computers, as well as genetics, I have a bit of myopia (short-sightedness) too. Don’t ask me to read smallish print at distances greater than two-three metres or less. Why am I blathering on about this? Because (as discussed below) our sight is important so we need to protect it. When we think about prevention in health care, we tend to focus on the worst diseases, those that threaten life- cancer, heart attacks, stroke, violence. But non-fatal conditions can also “threaten life”, putting the quality of our lives in danger. Limited vision contributes to severe and significant loss of function and well being. If you include people whose vision problems are corrected with glasses or contacts, it may be the most common disability in the world. But even excluding those people, vision loss still affects millions of people in the world. A refractive error is a very common eye disorder. It occurs when the eye cannot clearly focus the images from the outside world, causing blurred vision. Refractive errors are commonly corrected with glasses or contact lenses, or refractive surgery. Read more by clicking here: http://watercresswords.com/2016/02/01/6-steps-save-sight. That, though, can muddy the waters at the same time. This Person is doing This Person’s thing, and That Person is doing That Person’s thing, and Other Person is really loud about what WILL SURELY WORK FOR EVERYBODY (translation, will probably only work for people who are or are like Other Person). And advice gurgles up around your feet like rising floodwaters. Do this, do that, don’t do this, don’t say that, don’t write this, this isn’t selling, that is a no-no, publish this way, sell that way, don’t publish that other way, drink this, wear houndstooth jackets with elbow patches, drink that, snark here, snark there, with a fox, in a box, wearing socks, eating rocks, with a bear, without hair, anywhere. We have a whole lot of writers trying to figure out who they really are, and in the process, do a very good job at also telling you who you should be in order to conform to their notions of who they want to be. To confirm who they are, it’s easy for them to also confirm who youshould be, too. That’s not sinister. That’s just human nature. It’s easier to become something when others are along for the ride. And it’s also the joy of confirmation bias — what worked for me confirms that I WAS RIGHT AND SO YOU ARE A HEINOUS DIPSHIT IF YOU DO NOT FOLLOW PRECISELY IN MY FOOTSTEPS. I do it. You do it. Most of us do, I think. Read more by clicking on the title above. It’s been nearly a year….who’s next??? So, it’s been almost a year since I shaved and cut my hair. The World’s Greatest Shave is coming around again soon. I won’t be shaving this time, but I’ve already seen a few “Sponsor Me” badges and pages. If you’re shaving or colouring your hair, well done and good luck! I hope lots of people support you. If you’re not, I hope you support someone who is. Remember, all money raised goes to the Leukaemia Foundation, so they can support people with blood cancer and other blood disorders as well as fund research and other things, talked about below in the email I’m reposting here. If you or anyone you know is planning on shaving or colouring, let us know in the comments! View the web version of this email. Today in Lifeblood, we bring you news of an exciting therapy breakthrough – aided initially by the Leukaemia Foundation’s generous supporters – which is offering new hope for people with the most common type of leukaemia. We tell you how you can download our new blood cancer drug access guide and share many ways you can support our work, including by joining our World’s Greatest Shave hairy challenge from March 10-13. Thank you for sharing our Vision to Cure and Mission to Care. 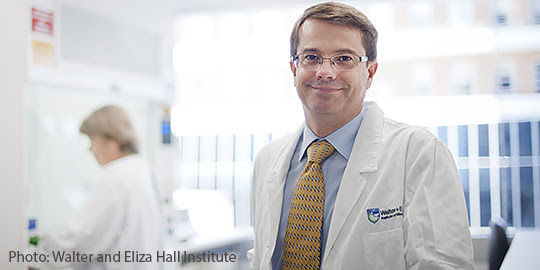 In a world-first clinical trial, resulting from an earlier breakthrough aided by Leukaemia Foundation supporters, Melbourne medical researchers have shown that people with an advanced form of chronic lymphocytic leukaemia (CLL) can achieve complete remission with a novel tablet treatment. Australians are being asked to accept the hairy challenge of getting sponsored to shave or colour their hair from March 10-13 to help people with blood cancer. Melbourne Demons ruckman Jake Spencer has signed up to honour a friend, and we’d love you to get involved too. Thanks to our supporters, the Leukaemia Foundation has developed a new booklet called Accessing non-PBS Funded Blood Cancer Drugs in Australia. 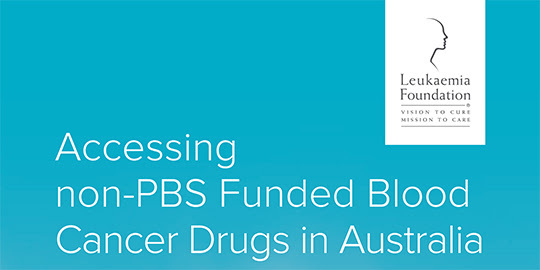 It is a guide to navigating the complex system of accessing blood cancer drugs that are not PBS listed in Australia. 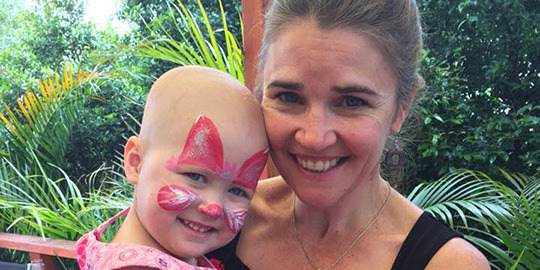 The New York City Marathon is considered one of the best road marathons in the world and, in November, Trish Davidson will pound the pavement in honour of her daughter’s two year marathon treatment for ALL. Determined to help others, Trish is fundraising to help the Leukaemia Foundation improve treatments and find cures for blood cancer. 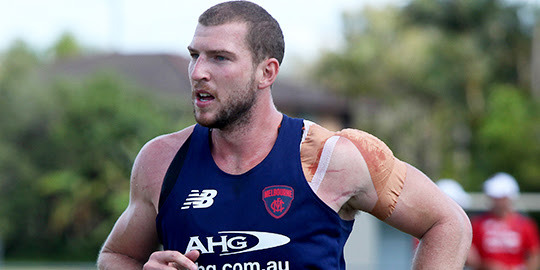 Jake Spencer, Melbourne Demons ruckman. Click here to sign up to shave or colour your hair for Word’s Greatest Shave and help us find better treatments and cures for blood cancer. At 26, Nic Easton dreamt of cycling from Sheffield to Cradle Mountain and back with his dad, after his treatment for leukaemia was over. 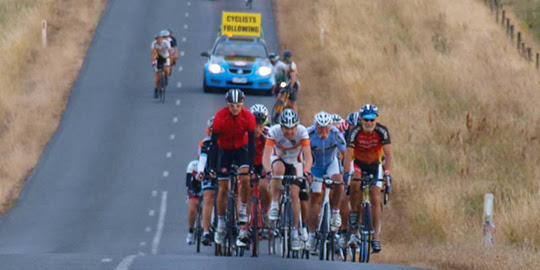 Sadly, Nic passed away before he could realise his dream but on Sunday February 28, more than 70 cyclists will honour his memory with Nic’s Cradle Challenge fundraising bike ride. 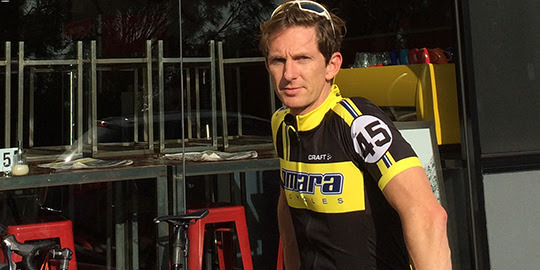 Preparing to brave the elements of New Zealand’s South Island on February 22nd, Steve Quinn is one of a 35-strong Ride As One cycling team raising funds to help the Leukaemia Foundation support people with blood cancer. For those who commemorate it (like me) today marks the start of Lent – Ash Wednesday. When I was in primary school, the thing that I’d always give up would be chocolate. Simple and basic, but hard at times … it got into a routine, but was good for young me. In Year 12, I forbade myself from going to certain websites which were major distractors to study. That was helpful then. Over the past few years I’ve tried to do something different instead. I try to be kinder to certain people I tend to get annoyed at, or something like that. This year, I’ll be following the advice given below…looking at what I really love and why, then trying to do more of that and less of other things. As well as practice my sense of situational awareness. Read more by clicking on the title. Read more below. This is not on! Rosie Malezer usually has a very important story to tell about being an author who is survivor of domestic violence who is blind and deaf. She is also an Indigenous Australian woman and currently an ex-pat. She has told – and continues to tell – her story through her writing in her books and on her blog. Please check her out. Her messages are sometimes hard, but necessary to hear. I’d recommend one of her latest posts especially to those in the health profession. Below are a collection of several posts from Rosie. She’s discovered something rather disturbing for authors and readers. The “….” notate where there’s more of the blog post to read which I haven’t put up here, given I was putting several posts together. Read more by clicking on the linked title or date. Authors beware. More and more, I have been finding companies who quite happily supply your copyright materials (books, music, comics) to their paid customers, even though they have no right to do so. In breaching copyright, these companies take away all of your income from hard-earned work by we artists, writers, musicians and pocket it themselves. Some of the worst offenders are sites called BEST BOOK LIBRARY, BOOKS DEITY, eBOOKSLOVER, BINSEARCH.net and BOOK RIDDLE, which not only supply your works illegally to the public, but hide the work under a different author’s name. ….To all Kindle authors out there, please take the time to check your DRM settings, as two of my books (one not yet released, but with many pre-release sales pending) had the DRM changed to the dreaded second setting, allowing a free-for-all and costing me all income which could have been gained over the past six months. If you have fallen into the same trap, you will also have to unpublish your book and re-publish from scratch. Recently, I blogged about the fact that many of my books were appearing “for free” on paid web sites in which the web site owner (and not the author) were profiting from the books. I listed a few examples so that authors could check that their own work had not been stolen, breaching the very copyright at the beginning of their book. Again, many books (including my own) have been found which are not free-for-all and the authors are missing out on their payments. The first giveaway that this site was not honest was all the spelling errors, followed by the fact that so many of the books they are supplying are new release. Then the final piece of the puzzle that they are gimps comes from the fact that they were stocking my books, when I had never provided it to them to begin with! If you are an author and you are followed by a Twitter user called “@epublibrary,” you might want to do yourself a favour and block them from your site immediately. I urge you, readers, do not go to these sites. They steal from the writer, disguise themselves as honest sites, and ask you to spread the word and link to them all over the many social media sites online, encouraging you to help further empty the authors’ pockets. It’s unfair to anyone who writes for a living. Kindle books are inexpensive, do not harm the environment, and are provided to you with trust that you will not share the book illegally to others. Last week, I inadvertently discovered how these sites are taking our “secured” work from Amazon Kindle and are turning them into free documents for distribution, and it has everything to do with the Digital Rights Management (DRM) setting with Kindle. Across Australia this evening in over forty towns and cities there are gatherings in support of asylum seekers threatened with deportation. Below is some text I’ve copied from GetUp’s page about the event, since I couldn’t screenshot it. This includes a list of the towns and cities participating. There are more cities involved in the actions than listed, too, so have a squiz around your town tonight! Also, check out the list, right at the bottom, of organisations supporting these actions. We will not stand down! Together, we must stand in the government’s way. We can’t waste any time. The government is ready to put these vulnerable men, women and kids on planes to hell – and only a huge public mobilisation is going to stop that happening. On this page, you’ll find all the events we know are being organised. Some are being organised by GetUp! and our partners, others are grassroots mobilisations. If you can’t find your local town or community on this page, and would like to hold Stand for Sanctuary event, just shoot us an email at standforsanctuary@getup.org.au and we’ll put it up on the page! Keep checking back – we’ll be listing all the community organised events we hear about here. 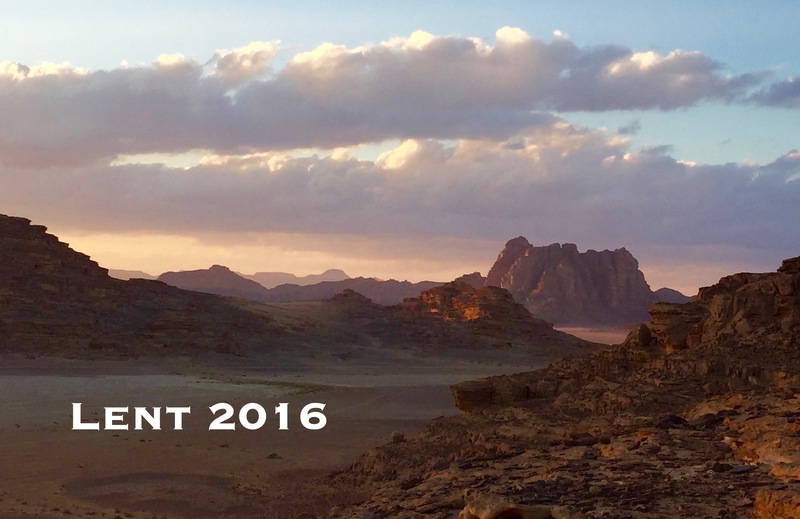 Organising your own event (or thinking about it)? Awesome! Click here to let us know! 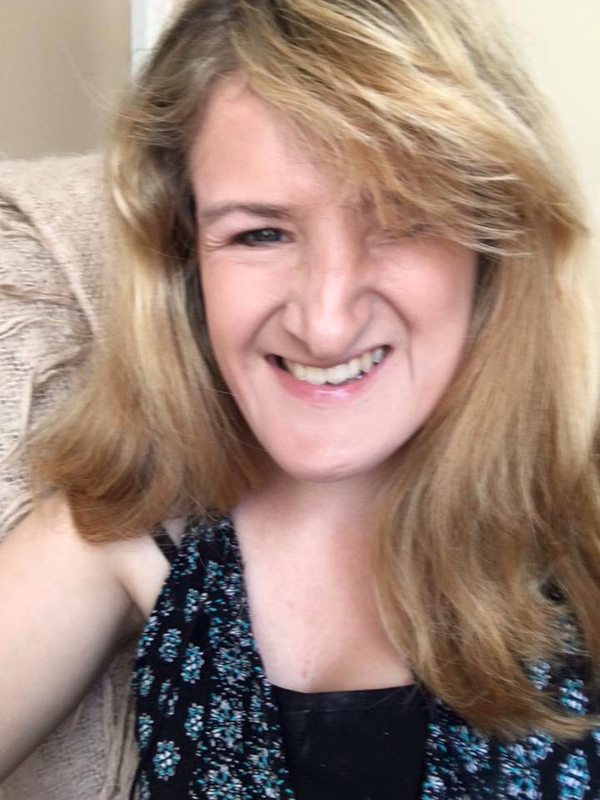 My online friend Carly is looking to help a friend out. Her friend Ellen is looking for a flatmate in Adelaide…can anyone help??? My friend Ellen is looking for a flatmate in Adelaide, Australia. Her fully furnished two bedroom flat is near Adelaide CBD & Flinders university. It has a car space and a garage for storage, plus an Internet connection. And it’s $160 a week. You can find out more about her flat here. Read the rest of the article by clicking on the title. Clicking on Carly’s name will take you to the rest of her blog.